Welcome to the A Better View Limited privacy notice. A Better View Limited respects your privacy and is committed to protecting your personal data. This privacy notice will inform you as to how we look after your personal data when you visit our website (regardless of where you visit it from) and tell you about your privacy rights and how the law protects you. This privacy notice aims to give you information on how A Better View Limited collects and processes your personal data through your use of this website, Email and Phone, including any data you may provide through this website when you make quotes or use or services. A Better View Limited Registered in England, Number: 084488026, Registered Office: A Better View 8 Bramley Hill , Ipswich, IP4 2AE is the controller and responsible for your personal data (collectively referred to as A Better View “we”, “us” or “our” in this privacy notice). Contact, Financial and Transaction Data from providers of technical, payment. 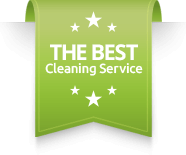 Where we need to perform the contract (including a customer cleaning contract) we are about to enter into or have entered into with you. To register you as a potential new customer. Legitimate Interestmeans the interest of our business in conducting and managing our business to enable us to give you the best service and the best and most secure experience. We make sure we consider and balance any potential impact on you (both positive and negative) and your rights before we process your personal data for our legitimate interests. We do not use your personal data for activities where our interests are overridden by the impact on you (unless we have your consent or are otherwise required or permitted to by law). You can obtain further information about how we assess our legitimate interests against any potential impact on you in respect of specific activities by contact us. We would like to point out that cookies don’t harm your device. We do not usually store your sensitive or personally identifiable information in cookies we create. If we do, we obtained that information from you directly as you would have provided it to us via our website and we only use it for the purposes outlined in this Cookies . All the information we gather from cookies is secure. It’s important for you to know that we have no access to, or control over cookies used by our selected third party companies. We do not share any of your personally identifiable information such as your name, telephone number or address with these companies. If you don’t accept cookies, our website will not work. However, if you’d prefer to control or delete cookies from our website or any other website – see our section on How to Manage Cookies. These cookies collect anonymous information on the pages visited. By using the website, you agree that we can place these types of cookies on your device. They collect information about how visitors use the website, for instance which pages visitors go to most often, and if they get error messages from web pages. They don’t collect information that identifies a visitor. It is only used to improve how the website works. If you use a Mac- with the browser window open, click on the Apple menu and select the ‘About’ option. This Cookies Policy was last modified on April, 2013. As part of our ongoing initiative to comply with recent law changes, we may revise this policy from time to time by posting a revised policy on our website. We reserve the right to modify this policy at any time, so please review it frequently.